Hi! Another “catch up” Birchbox post! Today’s is November 2011. It’s better to give than to receive, but who says you can’t do both? This month, we’re helping you get a head start on your holiday planning with a collection of gift-worthy products. Try them and let them inspire your own present plans… and we promos not to tell if you but them for yourself! Infused with French cornflower extracts, this formula is designed for even the most sensitive eyes. I’m going to start this off with a packaging fangirl moment. How beautiful is this packaging?! A sapphire blue bottle, a simple white cap, and a pretty wrap. So simple and luxurious. Okay. 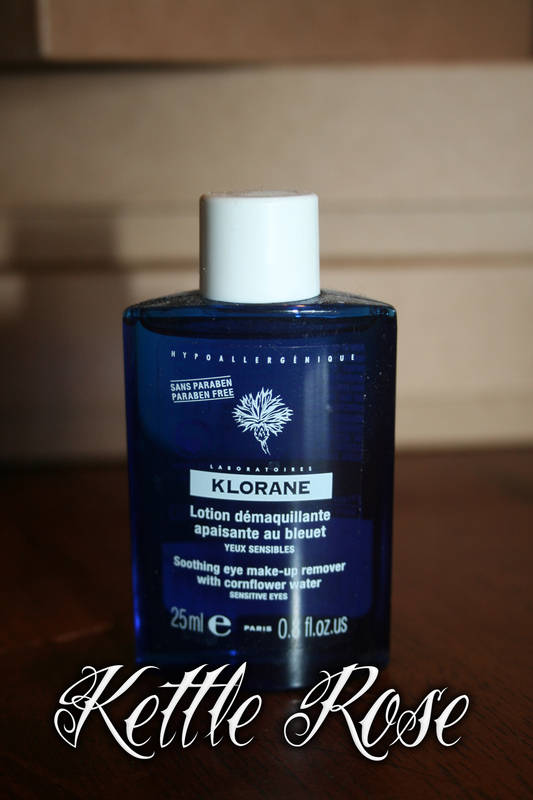 I like this makeup remover, it’s smooth and gentle and it smells good. I only tried this like 3 or 4 times, because I started having a reaction. My mom loves it though. It’s a fantastic makeup remover. 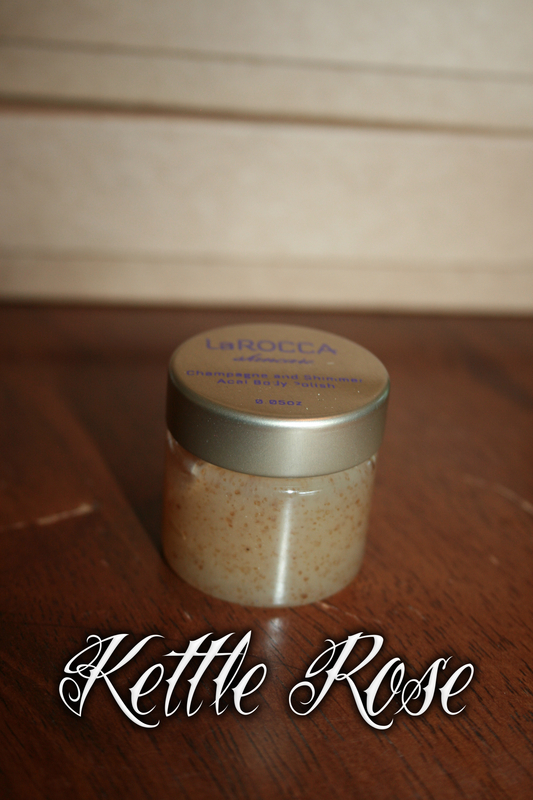 Call us indulgent, but we love this glam scrub, featuring 24K colloidal gold. This smells good, and has a jelly texture. It reminds me of apricot jam or something, it’s scent and texture. It smells expensive. I haven’t tried it yet, but I might tonight. 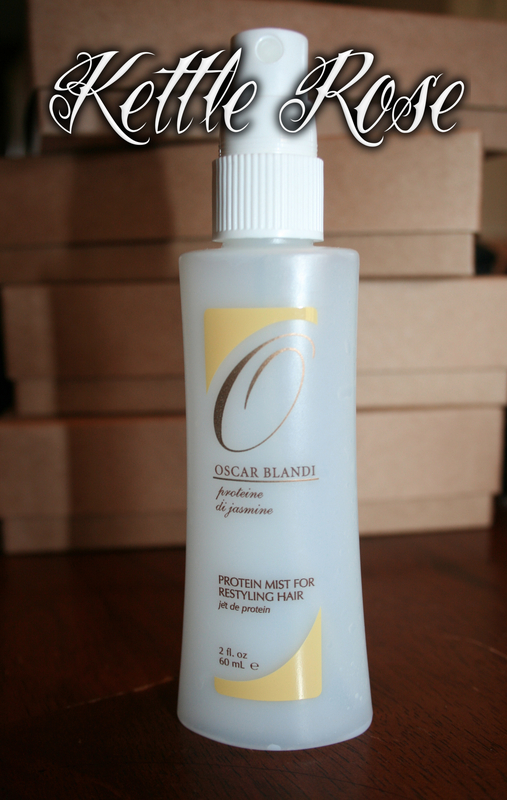 Celeb stylist Oscar Blandi’s secret weapon: this leave-in spray protects, fortifies, and revives damp or dry strands. Hello, beautiful, delicious-smelling spray. This bottle is empty. It’s a milky white spray that smells absolutely devine. I’ll be buying the full size very soon. It made my hair so light and fluffy and shiny and soft without weighing it down or leaving it frizzy. And it smells amazing. Did I mention that? Try this as soon as you can. 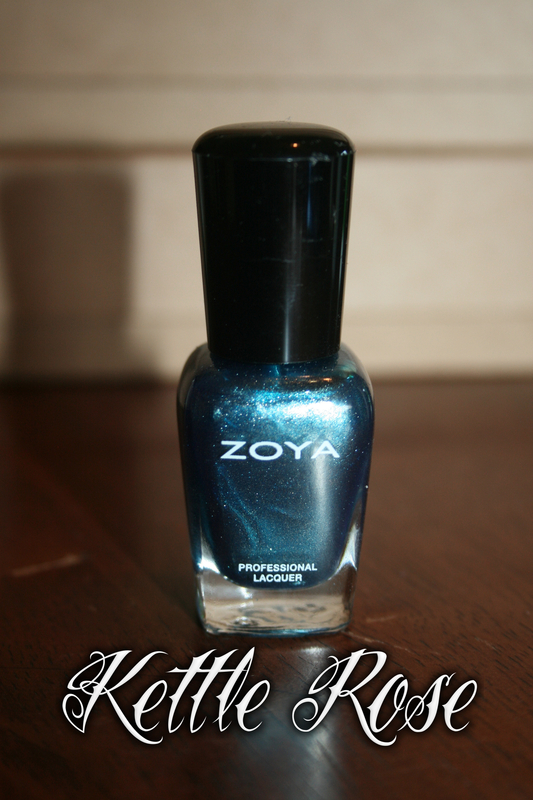 This shimmery denim shade from Zoya’s holiday 2011 collection fits just right – just like your favorite blue jeans. I’ve reviewed this before, I swear. But apparently not. It’s a foil-y, shimmery blue with a strong silver effect. It’s pretty, but I wasn’t wowed. You guys must know by now that I love color. 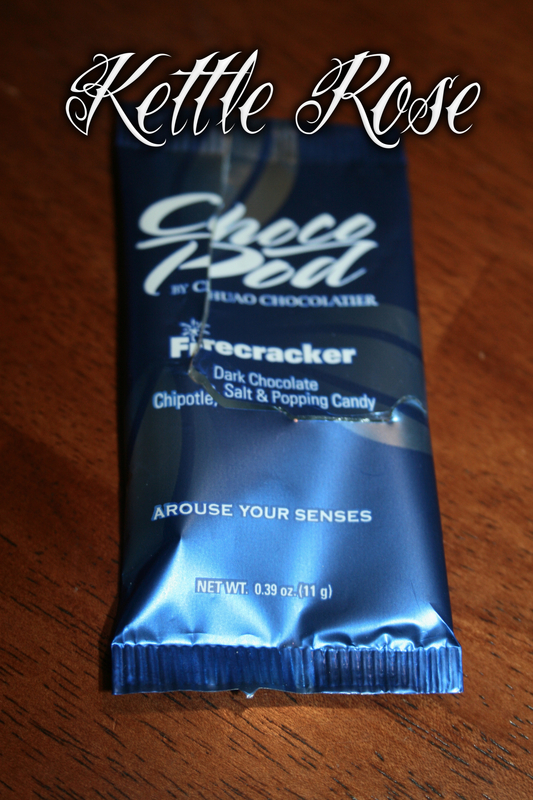 Spicy and sweet, these artisinal dark chocolate treats are laced with chipotle and popping candy. This didn’t even make it until the rest of the products were out of the box. It didn’t stand a chance. It was good. I think. It was strange, it’s hard to tell. It’s a rich dark chocolate, and that’s what you taste first. Then it’s like someone threw in some Pop Rocks. Then once you swallow, you get a lot of heat from the chipotle. It was the most different chocolate I’ve ever eaten. 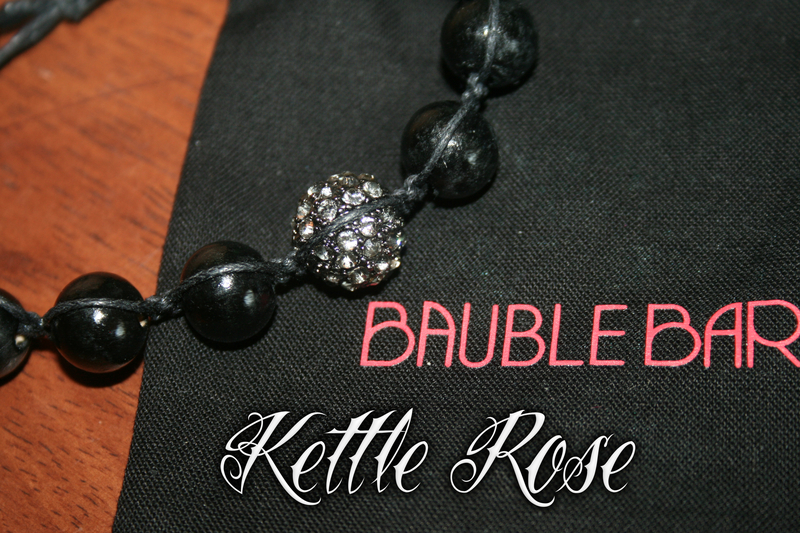 I got an option from Birchbox that month to get a free Baublebar bracelet. Well, I’m not gonna say no! And turns out I LOVE IT. I wear it very very often. Love, love, love, love it. That’s all for November. Some strong products in this box. Love when it’s a strong month. Have a fantastic, wonderful, perfect day!